Two years ago in Taiwan at Computex 2006 Gary Key and I stayed up all night benchmarking the Core 2 Extreme X6800, the first Core micro-architecture (Conroe core) CPU we had laid our hands on. 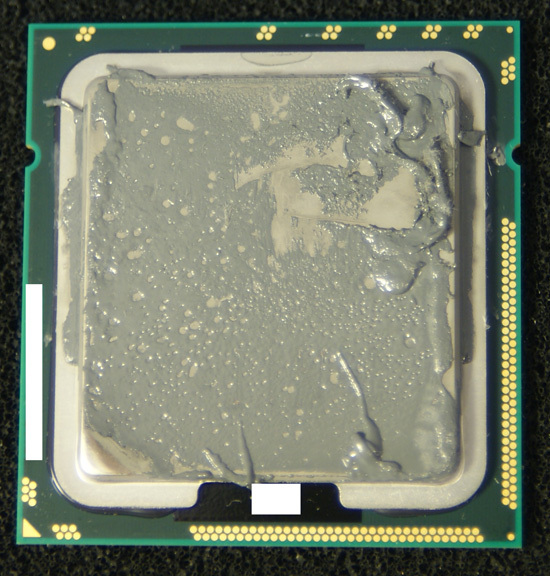 While Intel retroactively applied its tick-tock model to previous CPU generations, it was the Core micro-architecture and the Core 2 Duo in particular that kicked it all off. At the end of last year we saw the first update to Core, the first post-Conroe "tick" if you will: Penryn. Penryn proved to be a nice upgrade to Conroe, reducing power consumption even further and giving a slight boost to performance. What Penryn didn't do however was shake the world the way Conroe did upon its launch in 2006. After every tick however, comes a tock. 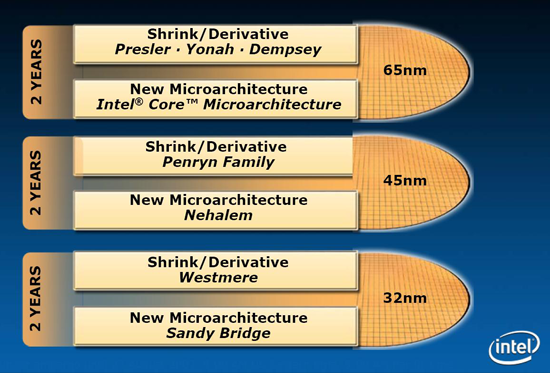 While Penryn was a die shrink of an existing architecture, Nehalem is a brand new architecture built on the same 45nm process as Penryn. It's sort of a big deal, being the first tock after the incredibly successful Core 2 launch. Without Intel's approval, supervision, blessing or even desire - we went ahead and snagged us a Nehalem (actually, two) and spent some time with them. 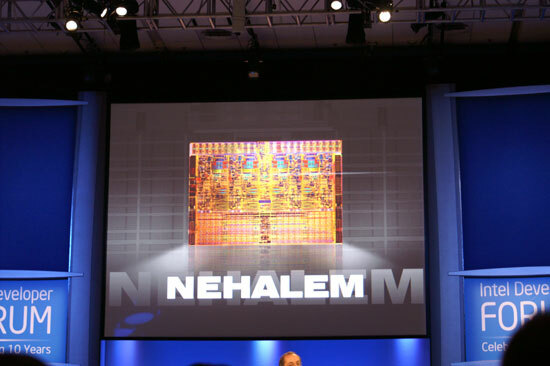 Post date on AnandTech's Nehalem preview, before it was ripped and republished on Tom's Hardware"
10 pages of comments and not one about the future of overclocking? No more FSB = no more overclocking?????? Anand, you could clear up some confusion if you could specify the version of windows you ran. The screen shots of some of your benchmarks show 64-bit Vista, yet your scores are inline with 32-bit Vista.... it makes a difference. It appears to me that the Tick Tock cycle diagram is wrong. Conroe shooked the world in the second half of 2006, Penryn came in the second half of 2007, now 2008 we have Nehalem on the horizon set for the second half of this year. Now that is 2 years between new architectures with the intermediate year bringing a shrink derivative. That is not what the diagram shows; bracketing shrink derivative and new architecture in a 2 year cycle is clearly not fitting the reality. I just thought I'd point out that the Bloomfield chip reviewed (to be released in H2 2008) will infact dominate the gamer/high-end market. The smaller sockets will be for what I like to call... "office PC's". And the larger socket for high-end servers.